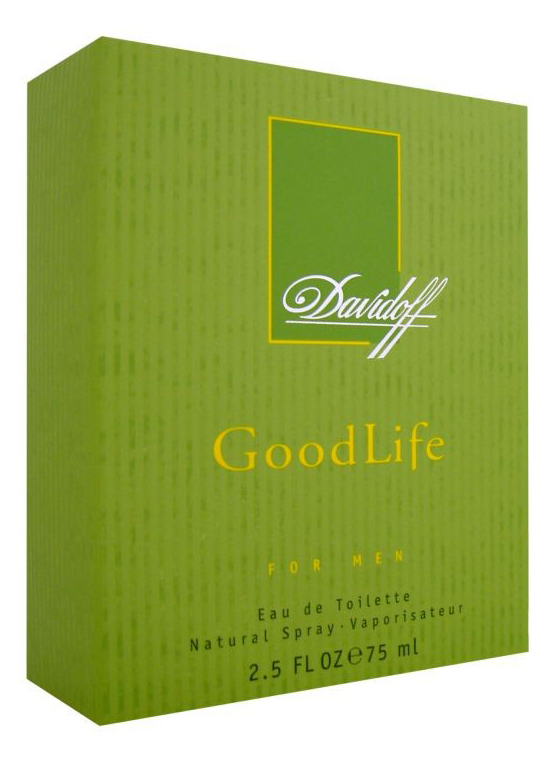 Good Life for Men (Eau de Toilette) is a popular perfume by Davidoff for men and was released in 1998. The scent is green-fresh. It was last marketed by Lancaster. The thing with favourite fragrances is always a very personal and subjective matter. What one loves and enthusiastically wears is pissed off at the next. And vice versa. Also my thoughts about the good life of Davidoff are very personal and subjective. But I like to share them with interested people. There really are scents where the corners of the mouth automatically go up when you apply them. Good Life belongs to this category for me in any case. For me, it perfectly embodies spring, when nature comes back to life, when everything is green and blooming and when it gets warmer again and I want to go out into the fresh air and enjoy the young green and all the fine flowers. Good Life is a really wonderful companion. Already the first sprayer makes me think of a beautiful sunny and friendly day, on which I would like to take an extended walk in the green. Gentle citrus fruits in combination with a hint of lavender flatter the palate (it immediately gives you a green-fresh feeling), a piece of melon and a handful of currants (but only a very small handful, otherwise it gets too sour) make it fruity and delicious, and a fig leaf also rounds it off. It gets a little more flowery, the spring meadow is in full flower splendour, violets beckon, geraniums smile, a beautiful magnolia tree greets splendidly, clover is added, which gives the spring walk a certain green-herbal note, which remains throughout the whole course. This is definitely this pretty meadow clover, which can be found everywhere, the one with the very delicate scent. An interesting scent, which is probably not used so often, could be used more often by me. Towards the end of the walk in the green I feel like a cup of tea with a few almond pieces, not many, it should not get too strong. And the tea's not too strong either. A piece of sandalwood with a bit of amber smells like a nice background. The spring walk in the green has taken its time, so about 7 hours, which is quite good for such a fine and unobtrusive scent. I wore Good Life again today after a long time. Even though it is the epitome of spring for me, today it was a perfect match for the still very mild weather. If there wouldn't be so much leaves everywhere, you could really think it's spring or early summer. He did very well in my work, he waved gently around my nose again and again and I felt very comfortable. I was also asked twice today about the fragrance, which made me very happy. I always see a compliment to the fragrance as a beautiful icing on the cake. Unfortunately, Good Life has not been produced for a long time, which I think is a pity. I don't know exactly when he disappeared from the shops, it must have been the beginning of the 2000s. Anyway, I never saw him again I still have a half-full bottle that I bought in the late '90s. Thank God there's still nothing wrong with the scent. Sometimes you can't understand why just the scent you like so much is taken out of the assortment. There may have been several reasons, maybe he didn't get the sales he hoped for, maybe he was too overshadowed by other fragrances that sold better. In contrast to many other scents from his time, Good Life is quite quiet, almost inconspicuous. It has few corners and edges. That may have bothered some. In any case, I have nothing wrong with Good Life, it makes me feel good, puts me in a spring mood and makes me feel good all around. Just like on a sunny spring day, even if it is already October and actually deep autumn. DGL is the evocation of a summer day's end... when the fig tree, the hay, and the meadow release their scent in the warmth of the sunset. The opening is zesty-aquatic-floral, with a touch of bergamot and grapefruit that give a fresh and tonic start to the fragrance. Despite those notes are pretty dominant, there is even a bit of watery melon and a tad of mild lavender. This rich fragrant aroma reminds me humid grass in the early morning at dawn, when the sun starts rising. Then, the scent evolves into a warm and comfortable green accord of fig leaves, green tea leaves, and tart black currant, which add a fresh earthy twist to it. A touch of floral notes is added by the white magnolia and pelargonium. That is the heart, so green and fresh, but not aquatic or marine. The soul of DGL is made of fresh tobacco leaves, mellow amber, and creamy sandalwood. This concoction gives the signature a masculine structure. The fragrance is modern, refined and perfectly embodies all the simple pleasures, that's what good life means. 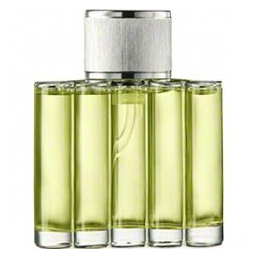 My gut feeling tells me that DGL is a perfect scent for warm weather, especially spring time. Longevity is good, and sillage stays close to your arms, which is good for the office, for the young and the more mature men. Unfortunately, DGL seems to be discontinued, and it is very difficult to find, even on the internet. 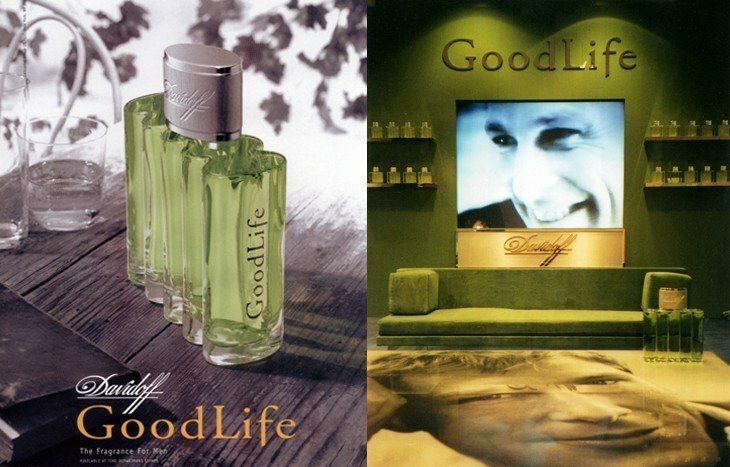 Good Life for Men opens with relatively sweet green fig leaf coupling with an aromatic bergamot and lavender co-starring tandem. As the composition moves to its early heart the green fig leaf and aromatic lavender remain now as co-stars adding slightly tart grapefruit to the mix with additional subtle melon support. During the late dry-down the composition eschews most of its sweetness turning distinctly ambery with supporting green oakmoss and dry woods through the finish. Projection is very good and longevity good at about 8-10 hours on skin. 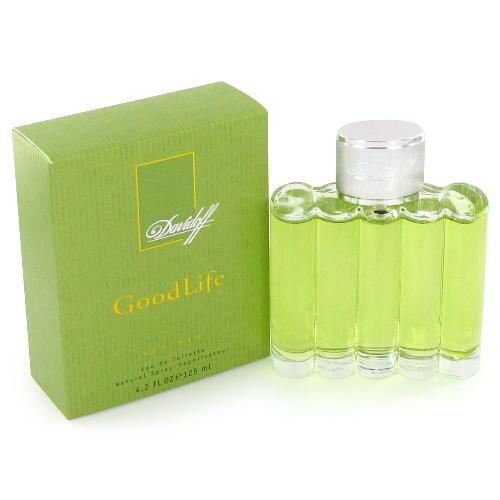 Ever since Good Life for Men was discontinued I have read many praising the composition, and demand must be there as prices have steadily increased. Just like many other discontinued compositions, however, the legend is often larger than the actual result so it is time to see if Good Life for Men really deserves its stellar reputation. I have worn the composition three days in a row and am again wearing it as I write this review. I am afraid despite my love of its classy bottle, for me Good Life for Men is really not so good. Oh yes, it does have some green aspects that are appealing, like the slightly synthetic smelling fig leaf, but the clover derived green sweetness that makes itself known early and hangs around with the fig through the mid-section is too sweet for my tastes. The woody amber dry-down is nothing new either, with only some green oakmoss adding an interesting twist, though far from original either. At the end of the day, this composition must have been designed to appeal to Davidoff's Cool Water crowd, as that really was their big hit (by the same perfumer Bourdon, no less) but alas, lightning rarely strikes twice and Cool Water in its original vintage form is a lot better composition than Good Life for Men. 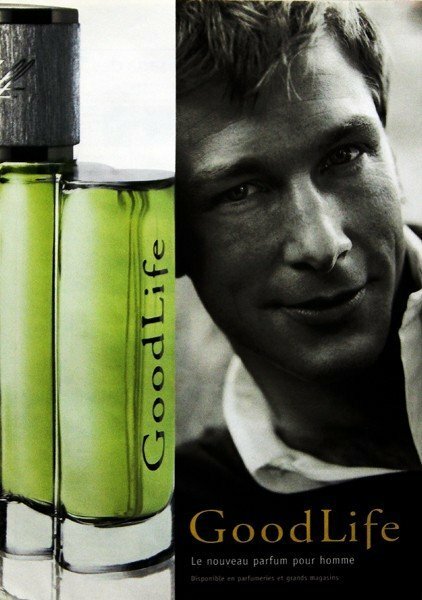 The bottom line is the approximately $170 per 125ml bottle on the aftermarket Good Life for Men is a valiant attempt by Davidoff and Bourdon to revive the house's greatest commercial success, Cool Water, but while appealing this "good" 3 star out of 5 rated composition comes up a bit short.